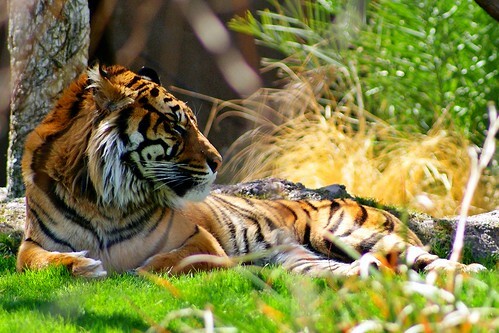 The Sumatran Tiger (Panthera tigris sumatrae) is one of only five subspecies of tiger left in the world. These subspecies, the Bengal, The Indochinese, the Siberian, the Chinese, and the Sumatran tigers, are all on the U.S. Department of the Interior's Endangered Species list. This photo was taken at the Phoenix Zoo on March 12, 2011.